April 5, 2019 in General Media Release, Research. About 85 per cent of Australian children with blood cancer and 71 per cent of those with solid tumours were diagnosed with lower stage disease, new research has found. Cancer Council Queensland has published two papers reporting world-leading research on the stage (the extent to which a cancer has spread) at the time of diagnosis, using data from the Australian Childhood Cancer Registry. Cancer Council Queensland General Manager, Research, Professor Joanne Aitken said the collaborative research examined four types of childhood blood cancers and 12 types of childhood solid tumours. “Our aim was to report, for the first time, the distribution of childhood cancer by stage at diagnosis across the whole of Australia, and variations in stage-specific survival for a range of childhood cancers,” Professor Aitken said. The research used the internationally-endorsed Toronto Paediatric Cancer Stage Guidelines and represents an important step towards consistent and reliable information on stage at diagnosis for childhood cancers within Australia. The findings show that survival rates for children with cancer in Australia are among the best in the world. Cancer Council Queensland CEO Ms Chris McMillan explained the importance of the research. “Sadly, around 770 children are diagnosed with cancer each year in Australia,” Ms McMillan said. The paper ‘Stage at diagnosis for childhood solid cancers in Australia: a population-based study’ was published in Cancer Epidemiology and the paper ‘Stage at diagnosis for children with blood cancers in Australia’ was published by the journal Pediatric Blood & Cancer. This work was supported by Cancer Australia to improve national data for childhood cancers as part of the Investing in Medical Research – Fighting Childhood Cancer initiative”. 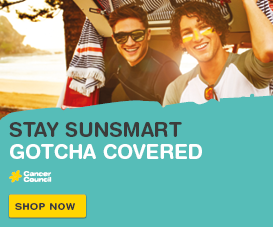 The Australian Childhood Cancer Registry is independently funded and managed by Cancer Council Queensland and is one of the few national registers of childhood cancer in the world. 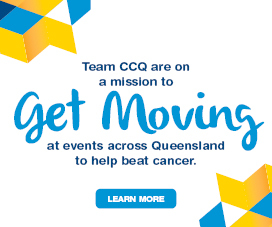 For more information about Cancer Council Queensland, visit cancerqld.org.au or phone 13 11 20. Youlden DR, Frazier AL, Gupta S, Pritchard-Jones K, Kirby ML, Baade PD, Green AC, Valery PC, Aitken JF. Stage at diagnosis for childhood solid cancers in Australia: a population-based study. Cancer Epidemiol 2019;59:208-214. 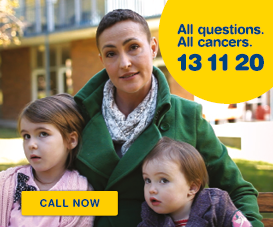 Members of the general public should call 13 11 20 or email info@cancerqld.org.au to discuss further.